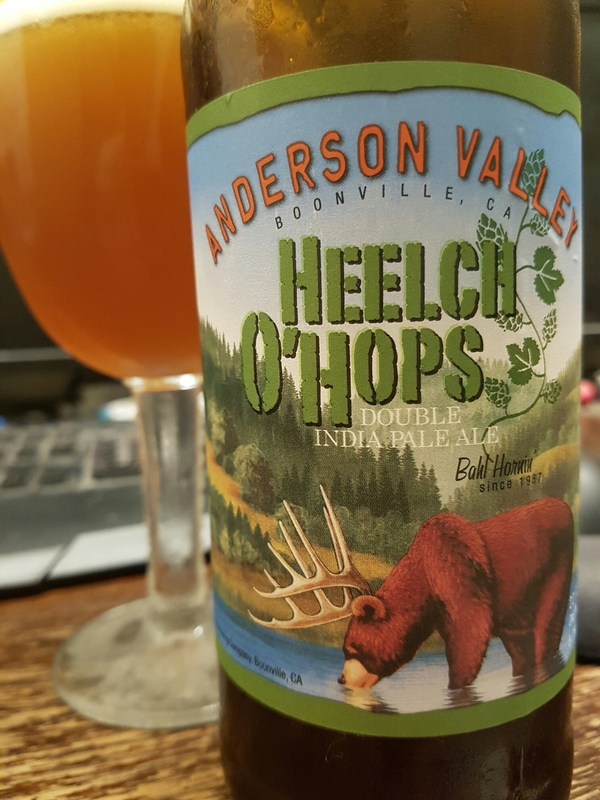 Heelch O’Hops DIPA – Anderson Valley Brewing Co. (Boonville, CA, USA) | Justintoxicated. Finish: grassy woody bitter hops, residual alcoholic barley malt sweet, palate numbing bitter. Summary: Good bold biscuity malt flavour backed by significant citrus hopped bitterness. 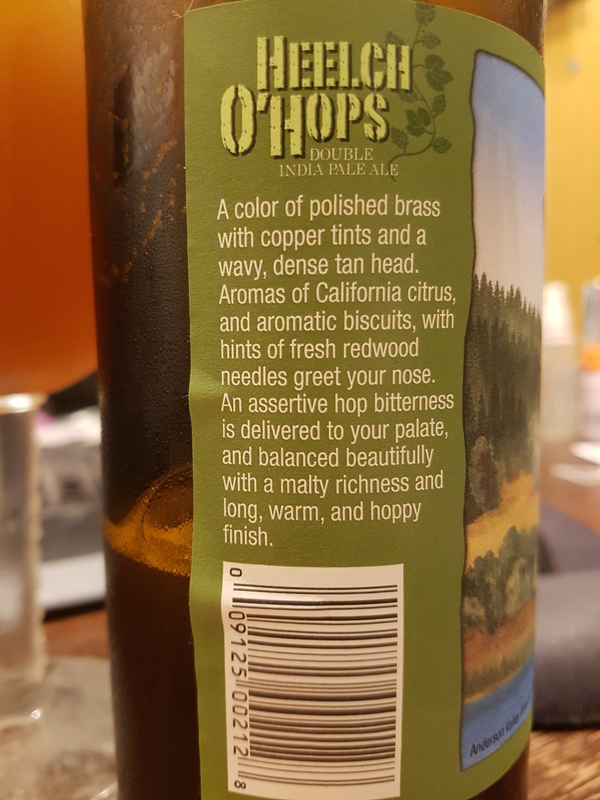 It drinks quite alcoholic heavy, not the smoothest DIPA that I’ve had.